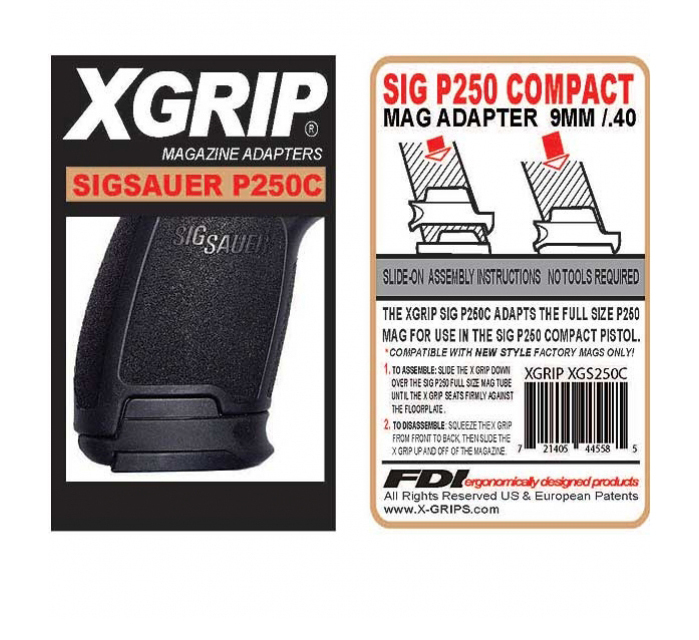 Converts Sig Sauer P320 and P250 Full Size 9mm and .40S&W magazines to fit P320 & P250 Compact models. 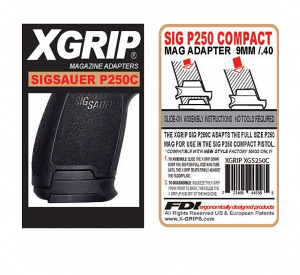 Works with new style P250/P320 Compact grip module ONLY. Increases capacity. No tools are required for assembly. Great fit for larger magazines on my P320c! Shipped on time and good price. Fast shipping. Awesome product.very happy with the purchase. Thanks Top Gun!!! Perfect fit! It fills the gap of a 17 rd mah on my Sig P320 compact’s frame ideally. No distractions in form or function. Aesthetically pleasing. Highly recommended. The X Grip was perfect. It turned my P320 compact into a carry. very easy web site and check out process. Product description was clear and the pictures were detailed. I will shop here again.